I am one of the very few outdoor writers and photographers who possess the full range of skills necessary to create an entire book which can meet the high standards expected by today's outdoor enthusiast. Furthermore, I firmly believe that I can only claim to be the sole author of a book if I have personally created all of the material it contains. For this reason, as well as supplying all words and photos for my book projects, I also create my own high-quality computer-generated maps to clearly illustrate all described routes and locations. By creating my own maps, I retain the control required to achieve the optimum level of detail which can only be judged by a book’s author. 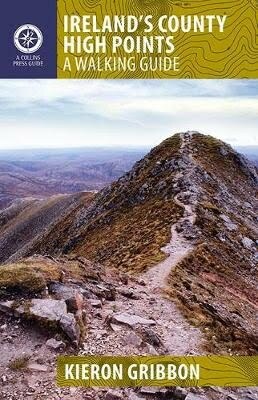 My first book, Ireland’s County High Points - A Walking Guide, was published by The Collins Press in March 2012. 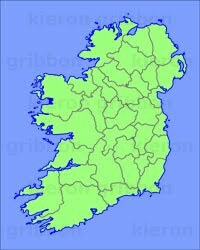 In December 2015, my second book, The Gribbons: A Complete List of Ireland's Major Geographical High Points was published by Donard Press. I have other books in the pipeline, but website projects are currently my primary focus. Further updates will be announced here and on Facebook and Twitter.